Archives of Eaton Bray News for December 2011. We started 2011 with a new Chief Constable, whose leadership is ensuring performance improvements where it matters most. We have seen Bedfordshire Police successfully tackling crime on both a large and smaller scale. We have been assessed as delivering value for money in challenging financial times, and we have been judged to be well prepared to meet the savings target. However, regretfully, to achieve the necessary savings we have been faced with some difficult decisions which have seen our organisations losing valued members of staff. We have seen Parliament agree to abolish Police Authorities and replace them with directly elected Police and Crime Commissioners and we are now working flat out with our partners to ensure that this is a success. We have seen the way the Force operates undergo a complete transformation and we have witnessed the introduction of the single non-emergency number, 101. The news of our demise next November does not appear to herald a let up in the pressure of work. We continue to deliver 'business as usual' in addition to the transition programme. In the coming months we will set our last and possibly most difficult budget. We will publish our Strategic Policing Plan and we will keep you informed of the progress we are making regarding transition. Thank you for reading our publication. The feedback has been very positive and we are pleased to see our circulation growing by request! Hopefully we will maintain this next year. Thanks to a lot of hard work, and despite a great deal of change, recorded crime has fallen by 4.5% (equivalent to 1325 fewer victims). Burglary, one of the pivotal crimes for public confidence, has dropped by a massive 20% and robbery is down by 5%. Detections (the proportion of crimes that are solved) on the other hand, are up - in all crime categories. This is an important element of the drive to see the force among the top 20 in England and Wales and we are there, or thereabouts, in most categories. The Chief Constable believes that this improvement is thanks to a very clear focus on the Force's purpose - as stated in the Strategic Policing Plan – 'to fight crime and protect the public'. This has led to the introduction of a tough performance regime that is delivering results. In addition the growth of local policing, as a result of restructuring the way operational policing is delivered, has been well received and has enabled officers to be moved into frontline jobs, which is where people tell us they want them. The focus on those who commit the most crime is also working, with targeted activities on crime and the underlying causes, supported by operations to tackle drug related serious and organised crime, which have led to significant arrests throughout the year. Criminals have learned the hard way that crime doesn't necessarily pay when their assets are seized and their ill-gotten gains taken away, which is a deterrent and appropriate sanction on their criminal activities. One of the areas the Authority and the Force are seeking to improve is victim satisfaction and an action plan is being developed. The key areas where we want to see a difference is keeping people informed of what is happening, particularly when someone has been arrested. We want to see the victims kept informed throughout the process from arrest, to charge, to court appearances and sentence or acquittal. All of this good news does not mean we have become complacent. Funding remains the biggest challenge for the year ahead and we need to find significant savings while continuing to enable improvements in performance. While it will not be easy both the Chief Constable and the Authority are determined that this will be achieved. To ensure that our partners and the public have the opportunity to comment on the draft of our Strategic Policing Plan for 2011-16, we have placed it on our website and we are urging people to visit the site, consider the plan and give us their views. The document can be found here and your opinions will be taken into account as we set the budget and priorities for policing Bedfordshire in the future. The Authority is asking the public to help it make the difficult choices ahead in a budget survey available on-line or by hard copy on request. The new survey will also invite residents to give their views on the organisational changes introduced this year to deliver better value for money in challenging funding times. In addition to questions about policing, satisfaction and resources, the survey asks searching questions about the amount of money people are prepared to pay towards policing Bedfordshire, not just this year, but in the future. Bedfordshire Police and Police Authority need to identify £6million of savings in 2012/13 to place them on-course to achieving their overall target, which amounts to a further £13m over the next three years. Almost a third of the Force's budget is achieved through council tax income - however the Government is encouraging local authorities to freeze council tax for the second year running, with the offer of a grant equivalent to a 3% increase in the police's portion of the council tax bill as a one-off compensatory offer. This freeze would see council tax remain at £144.77 per annum for an average Band D property. If the Police Authority decides to freeze next year's council tax at the current rate this will have no impact on plans in 2012/13 but would lead to increasingly difficult decisions being required for 2013/14 and 2014/15 in order to balance the budget. A lost income of £1.9m from local taxpayers will see the budget shrink by 2%, with the potential loss of 90 frontline posts. The online survey is available on www.bedfordshirepoliceauthority.co.uk until 26 January 2012. Information generated through the survey will be fed back to the Police Authority before it discusses next year's budget, which will be set in February. In September 2011 the Police Reform and Social Responsibility Bill received Royal Assent and became an Act. One of the key aspects is the replacement of Police Authorities in England and Wales with directly-elected Police and Crime Commissioners (PCCs). The introduction of PCCs is one of the most significant changes to affect policing in decades. The Government believes it will improve the democratic accountability of the police service and strengthen the relationship between the police and the public. The new governance structure will have little impact on the everyday policing services delivered by the Force and the Chief Constable will continue to retain independence for all operational policing decisions. The elected PCC will ensure the force operates efficiently and effectively and meets the appropriate interests of stakeholders and the public. Functions will include holding the Chief Constable to account; ensuring the public, partners and stakeholders are consulted over policing issues; setting the budget for the force and publishing a Police and Crime Plan. The PCC is a full-time post and will receive a salary set by the Secretary of State. They will be required to employ a Chief Executive Officer and a Chief Finance Officer however all other staffing requirements will be at the discretion of the PCC. The first elections for the new PCC are scheduled to take place on November 15 2012. The Police Authority will keep residents fully up-to-date with election arrangements over the coming months but are encouraging people to plan ahead to ensure they are registered to vote on Election Day. If you are not sure whether you are registered to vote or have changed your address details recently, contact your local Electoral Registration Office who will be able to assist. The nominated Force Area Returning Officer is the Chief Executive of Luton Borough Council. PCCs will assume their legal responsibilities on Thursday, November 22 2012 - seven days after the election. Until this time, Bedfordshire Police Authority will continue all of its functions as normal. To ensure balance and democracy, Police and Crime Panels will be formed to hold the PCC to account on behalf of the public. PCPs will be the responsibility of the local authority within each force area and will perform a "check and balance" role to the directly-elected PCC. Membership of the PCPs will be made up of councillors from each local authority and two Independent Members but they can have no more than 20 members in total. Responsibilities of the new PCP will include reviewing the draft Policing and Crime Plan, reviewing the Annual Report, reviewing the appointment of the Chief Constable and reviewing and scrutinising the decisions of the PCC. They will also play a wider role in community safety by working with Community Safety Partners to reduce crime and disorder. Bedford Borough Council has agreed to be the host authority for the PCP in Bedfordshire. A Transition Board has been in place for some months now, with membership from our local partners. Over the coming months, this newsletter will endeavour to keep partners, practitioners and the community informed of the changes to come. The next Parish Council meeting will be on Monday 9th January 2012, 7.30pm, in the Coffee Tavern. Bedfordshire Police Authority is an organisation responsible for overseeing Bedfordshire Police. It is made up from elected councillors and independent members. The Police Authority appoints the chief police officers, sets the long term strategy and budget and scrutinises issues that concern local people. The survey invites residents to outline their policing priorities to help shape service delivery over the next three years. We would be grateful if you could forward this email to anyone you know who lives in Bedfordshire who might be interested in sharing their views on policing. We are THE village children's football Club – serving Edlesborough, Eaton Bray, Dagnall, Northall, Studham and Kensworth too. We provide village based safe, friendly, competitive and fun football for boys and girls of all ages, from 4 to 18. This season has seen another record breaking number of teams and players - an amazing 22 teams and almost 300 children who play team sport in our villages every week, of which over 90% come from our rural villages!!!! Furthermore the quality and skill of our players and teams just gets better and better. We are now one of only 10 Charter Standard Community Clubs in Bedfordshire and one of the largest too – great for the villages! Whilst we have been hugely successful in stimulating huge demand for childrens football, particularly from the youngest age groups upwards, we do have a few places still available in certain teams. Boys and Girls – Reception year – entry level Reception year, for our U5's. YEAR 4 – 2 Boys required to complete our third U9 team this season. GIRLS YEAR 3 and 4 – Girls to register interest in joining a new U10 Girls team 2012-13 next summer. GIRLS YEAR 5, 6, 8 and 11 – 2 Girls each, to join our vibrant U11's, U13's and U16's squads. We are working on an exciting project to build an all weather 3rd Generation pitch within the village envelope. This is at an early stage, but would, if successful mean we can provide all weather all year around facilities on an artificial surface to all our teams. Clearly this will be subject to funding (this is a highly expensive investment) and planning, both of which are detailed and complex, but would transform our facilities and vastly expand opportunities for our local children, improve their fitness and skills. It would also reduce both travelling to training and be provided at only a minimal cost to parents. We are working closely with Eaton Bray Parish Council who have been extremely supportive of this project so far, which is budgeted to cost around £200,000, a massive investment in rural sport and a huge fund raising project is just underway. We had a hugely successful Golf Day in September 2011 at Three Locks golf club, where almost 40 golfers enjoyed bright sunshine to play team golf and a fantastic day was had by all. Our sincere thanks to Paul Cook (from Eaton Bray, our U13 Coach) for running a brilliantly organised event and we raised almost £2,500 as early fund raising for our new training pitch. We have been blessed with a very keen and enthusiastic committee for the last 9 years and moreover have a wonderful group of dedicated coaches, which is now in total over 40! As part of our continued development there are several key roles we are now looking to appoint and we are seeking keen mums or dads interested in the Club – be them parent, coach, grandparent etc. ASST CLUB SECRETARY – to support our excellent Club secretary and help with general organisational matters. This would suit an organised IT literate helper and is only a couple of hours a week. ASST GROUNDSMAN – to help Adrian Bush with lining and looking after our pitches and goals. U5/6 COACHES – to support our youngest age groups. All these roles are very much occasional/part time. Everyone on the committee and those coaching have busy lives, jobs and families, but in sparing a few hours a week we make a vital difference to the fabric and life of our children in the villages, without which there would be few healthy sporting opportunities without getting into a car and travelling. Please step up to help make a difference. All require full CRB clearance and Club acceptance. 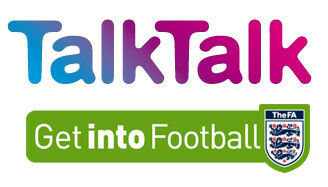 TalkTalk, the home phone, broadband and mobile provider, is proud to be sponsoring E B Lions AFC for the next twelve months. The donation will be used to maintain facilities at the club and to provide a personalised club training fleece for every coach. Alongside the sponsorship, TalkTalk is investing £50,000 in technology to bring best value broadband offers to Eaton Bray and surrounding areas. TalkTalk is expanding its Next Generation Network in the area, which gives customers access to fast, reliable broadband services for all of the family's needs. Tristia Clarke, Commercial Director at TalkTalk said, "We are delighted to be able to support E B Lions AFC for the upcoming year. We wish them all the best for their endeavours on and off the field". Expanding its Next Generation Network allows TalkTalk to offer its best value for money packages to even more of the UK. With maximum speeds of up to 24 Meg, prices for broadband and phone packages start from as little as £6.50 plus line rental and include unlimited evening and weekend calls. TalkTalk's Next Generation Network will cover Eaton Bray, Northall, Edlesborough, Slapton and Totternhoe. Keep the dedicated hard work going! December is a month for reminiscing; what we've done during the year, what we've enjoyed, what we may have done differently, and who we should have beaten at tennis when we actually lost 6-0, 6-0. That's when the trouble started. Apart from reading 150 editions of Focus, which meant not talking to my wife for over a week (every cloud etc....!) how do you pick your favourite moments? I particularly enjoyed the story of our efforts to transform our courts into the new home of British tennis by extending out towards School Lane, turning the school into a multi-storey car-park, and making School Lane itself a dual carriageway with a Hemel Hempstead style funny roundabout at the junction with the High Street. It was all going so well until our Vietnamese financier, Phut Pholt, ran off with all our money. And then there was the plan to ground-share our courts with Tottenham Hotspur, following their failed bid for the Olympic Stadium, with club training facilities to be based at committee member Glenn Wigley's house, but it then transpired that 'Arry their manager had a taste for Orange sauce, and with the Wigley's keeping ducks, well that was that. But the true stories are the best, and nothing, but nothing can match that famous committee meeting held in March 2000, almost 12 years ago, when our 'International Liaison Officer' John Palmer (who only got the job because he had an old 'Letts' guide book) announced that he had scoured the internet - which in itself should have set alarm bells ringing - and successfully twinned our little club with one in Boulogne, France. He'd already arranged via e-mail for us to visit them and play a weekend tournament! This would comprise of a Saturday morning ferry over, a few games of tennis followed by some good food and wine, a hotel in St Omer, then a late ferry back on the Sunday after a spot of shopping at Tesco's beer shop in Calais. This very evening, we were to call their Chairman to finalise the arrangements. How exciting! What could go wrong? We made the call all huddled around the speakerphone, used our best French pleasantries, and all was going swimmingly well until about three minutes in, when it became apparent that there were some crossed wires somewhere. Our French counterpart could not comprehend why we were reserving accommodation in St Omer, near Boulogne-Sur-Mer? As uncertainty grew into confusion, it slowly dawned on John that there were two Boulognes in France. One on the North coast, where he thought he'd arranged this tournament, and another Boulogne, a very small village 870 miles south of Calais, 10,000 feet up in the Pyrenees near the Spanish border, and the one from where our French colleague was now asking 'allo.... allo.... are you steel zere'? down the phone. Yes, the one where John had actually arranged the tournament. I should have mentioned that his guide book was on Persia. Once we had regained our composure – and John had come round – I spent the next 20 minutes trying to explain in my best pidgin French to this very excited gentleman from a miniscule village that had never seen an outsider since the Romans came calling, (during which I apparently ordered seventeen beers), that it was simply not a good use of time or resources to drive 870 miles for a game of tennis, and back again the next day. 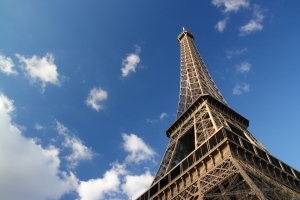 He was crestfallen; the Mayor had laid on a civic reception, all police leave had been cancelled for both of them, and the eight schoolchildren had been given Union Jacks to wave along the Boulevard de Pyrenees as we arrived. Nonetheless, we eventually extracted ourselves from this delicate situation, assuring our new friend that, at some date in the future, we would try to visit him and his small but high and remote village. When John gets a new guidebook, probably! So endeth the reminiscing, and also so endeth my monthly scribbles in Focus for EBLTC. After 15 years (with a couple of short respites!) it's time to hand the reins over to someone who talks sense. We're hoping that he or she will come forward at our AGM in January, so if you're interested, please let me know! In the meantime, to misquote some popular phrases, it's Goodbye from me, but not Goodbye from them. So long readers, and thanks for all the fish. It's been real. Was Nice to see you, to see you Nice!! This, the 21st annual Puzzle that Gordon Gray has set, has a theme designed to help completion and will appeal to people who enjoy doing Crossword puzzles, such as in the Daily Telegraph (though it is not a Crossword puzzle). Puzzlers have plenty of time to find the answers and Puzzles should be returned, with donation, by 22 January 2012. Our next Cafe Community will be held on Saturday December 10th from 11-00 am until 1-00 pm . The Charity to be supported will be Amnesty International in this their 50th Anniversary Year. The Theme will be "Do Human Rights Help Heal Human Wrongs?" Some of our ladies have been busy making special handmade gifts for Christmas. These will be on sale at our December Cafe Community and all proceeds from the Craft Stall will be for our Chapel Maintenance Fund. What better way could there be to get the Christmas Shopping done than to do it locally, in friendly surroundings, with a coffee and a hot snack available. During January we will not be holding Cafe Community but we will be having our Sunday Cafe Worship Service. We will recommence our Cafe Community on Saturday February 11th 2012 when our Charity to be supported will be Luton Womens Aid Centre. This will also be our Charity for both March 10th and April 14th Cafe Communities. We do extend a warm welome to you to come along and relax, leaf through the newspaper and chat with friends old and new, enjoy a cup of real coffee and stay for a light hot lunch if you have time, that is Cafe Community. Many thanks to all the house to house collectors (including the new ones this year) and to all the shops and premises in Eaton Bray who hosted a poppy box. The total for this year is £2110.58 and this is just over 16% up on last year. Our real thanks though go to all of you who put your hands deeper into your pockets when times are getting tighter. The children and staff of Eaton Bray Academy deserve an enormous merit star because they increased their donations by £40.00 to almost £128.00 - fantastic! If you would like to join the Eaton Bray collecting team next year, or if you live in Edlesborough and would like to know what's involved with becoming the Poppy Appeal organiser for Edlesborough, then please contact us. -- Roger & Helen Wilkinson – Poppy Appeal organisers for Eaton Bray. Celebrating, food, and wine, parties, presents, yours and mine. Cards, crackers, holly, and mistletoe, snow, frost, faces all aglow. Does anyone think of the Saviour's birth? Does anyone listen, does anyone care? Do you at this festive time of year, really listen with your inner ear? To the message from above, that tells us all of God and His love. His life in fact, so that we this scene could enact. praise as with your voice a carol raise? who will save you from sin? for that is the reason why He came. So that all men Gods blessings could claim. There are 7 billion people living on planet earth. Over one-third live in poverty, meaning they don't have enough to eat, don't have access to clean drinking water, live in sub-standard housing, or they lack proper medical care. It is very likely that all of the above applies. Poverty, homelessness, abuse, disease and disabilities, both physical and mental affect millions of people. Lions Clubs international can not provide responses to all of these people. Or can we? I believe that we can make a difference. Helping just one person can set an example for others to follow. The Yellow River is the seventh longest river in the world, stretching 3395 miles in length. It is often called the cradle of the Chinese civilisation, serving as the birth place of northern Chinese civilisations and giving prosperity to millions. And yet, at its source, high in the Bayan Har Mountains, it all begins with a very humble trickle of water. It gains its power and strength as it fl ows northwest, then northeast, turning southward and fi nally east, fl owing through seven provinces along the way and nourishing over 120 million people. Its astonishing that such a mighty force starts out so small. Lions Clubs International also had a humble beginning. Our founder, Melvin Jones and a few of his colleagues, were similar to those few drops of water that today, some 94 years later have changed the world and touched millions of lives. On 10th December we will be holding our Christmas, crafts and second hand book sale at Dagnall village hall from 10am until 4pm. Entry is free so why not come along and get some Christmas treats for your family and friends? A full list of the stall holders and books we are selling will be published on our website closer to the date so keep checking www.ebelions.org.uk for further updates. Santa has promised us he will be in attendance and will be found in his grotto all day giving out gifts to younger members of our community, (a £5.00 entry charge applies to the grotto but all children will receive a gift). Once Santa's duties are done at Dagnall, he will be making his way to the local children's ward and leaving gifts for some of those children that aren't able to visit him this year. Please support us in any way you can, especially at this time of year when so many people are in need of our help both at home and abroad. You are viewing the December 2011 archive.